“Natural North Florida’s art scene begins its fall art season on November 5 and 6 with the Downtown Festival & Art Show. The streets of downtown Gainesville will bustle with crowds strolling the many vendor booths–displaying art and providing good things to eat. More than 100,000 visitors are expected. 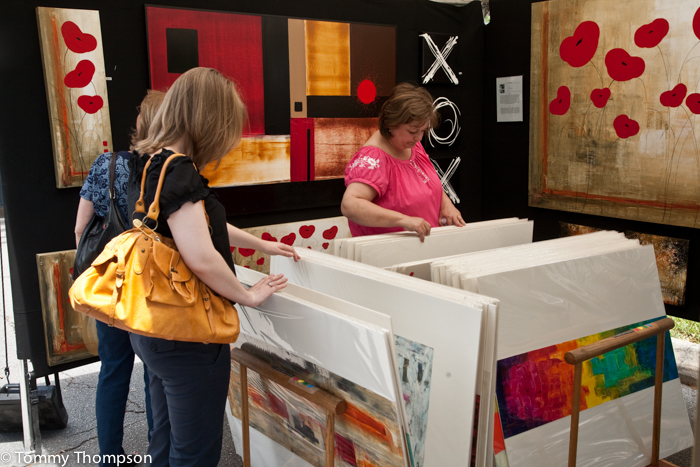 The festival features 240 local and national artists displaying original oils and acrylics, vibrant watercolors, unique sculptures, dazzling jewelry, decorative ceramics and vivid photography. For kids, there will be the “Imagination Station”, a free hands-on art activity area including sidewalk-chalk drawing, painting, mask design, puppet creation, clay sculpting and interactive entertainment. For music lovers enjoy continuous, live entertainment on four stages by local bands, solo musicians and dance companies. The Festival will stretch from the Hippodrome Theater to City Hall, in the center of downtown Gainesville.